An IPS officer who has the background from IIT. He loves to teach the students and explores the heritage archaeological sites. He is so pro-people that organizes regular durbar to hear people’s complaints. His portfolio speaks a range of services from NIA special investigations to put the bridle on the Bahubalis, crime mafias and dacoits of Chambal. He sanitized the Naxalites and hoisted the Indian flag at Rohtas Fort. He is not only an IPS. Though undoubtedly, he is equally capable of doing justice with his passion and the profession at the same time, and his past has proved his potential to this effect; in an illustrious manner. He is too gentle and soft when he talks, but roars like a tiger when he writes. The pen is his life, the gun; his profession, and the camera; his passion. His writing(s) constituting the clarion call of developing heritage consciousness in every Indian citizen’s heart has transcended every barrier of distance, as more and more people are getting inspired and connecting to him through Social Media. 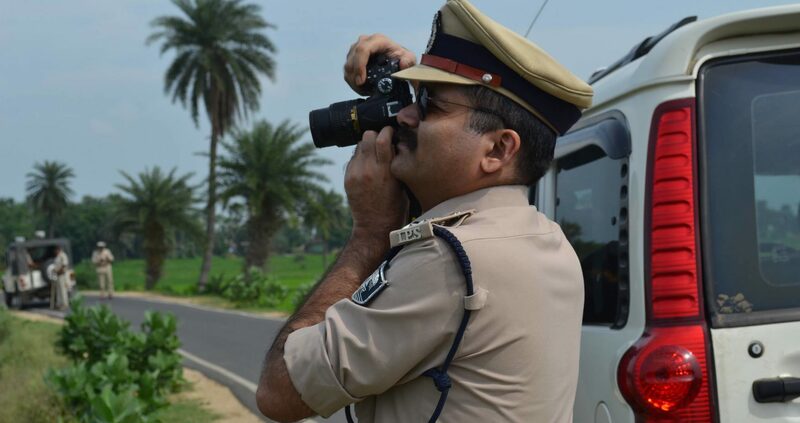 The IPS officer’s Facebook Page has hitherto crossed a fan-following of more than 200k. His scholarly words travel faster than his bullets. The strength of his scholarship has brought him a massive recognition as he has become a celebrated public figure on Social Media. The serenity surrounds his countenance. His principle gets mirrored in his courage and conviction. He has managed to hound criminals in cities and villages and trounced Naxalites in their dens. He is an IPS officer, but he is not only an IPS. Yes, these adjectives embellish Bihar’s celebrated IPS Officer Vikas Vaibhav, the current D.I.G of Bhagalpur. 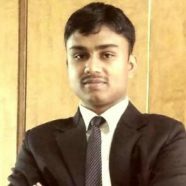 Born on November 21, 1979, in a village named Bihat, under the present Begusarai district of Bihar, Vikas Vaibhav, completed his graduation in Mechanical Engineering from the prestigious Indian Institute of Technology, Kanpur. He often describes his days at the institute as one of the most learning phases of his life. After that, he cracked UPSC and got selected for IPS in 2003. 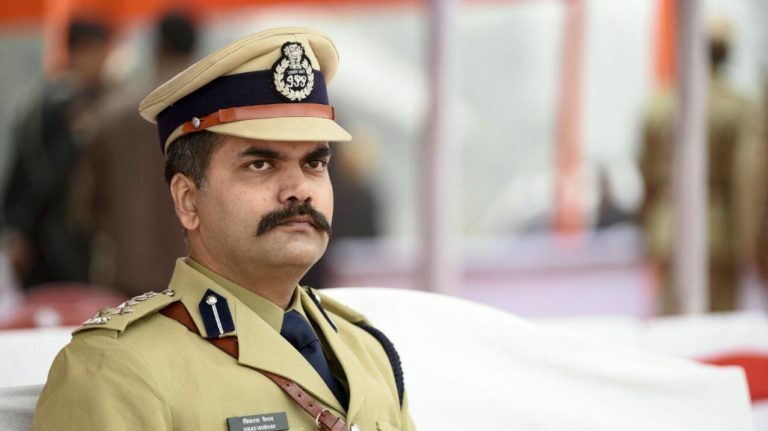 Currently serving as D.I.G Bhagalpur, he has previously served in the capacity of SP/SSP in Patna, Bagaha, Rohtas and Darbhanga districts of Bihar and as SP, NIA, Delhi. At all his postings, the local people had been head over hills for him, entirely enamored because of his pro-people commitment, his resolute honesty, and unshakeable professional integrity. His doors have always been open to general public for his help round the clock. Due to such people-friendly behavior, at all his postings, a majority of the local population have been eating their hearts out at his transfers, and in many cases peacefully resisting too. Once, even he had become emotional after his transfer from Patna, where he had been serving as SSP. 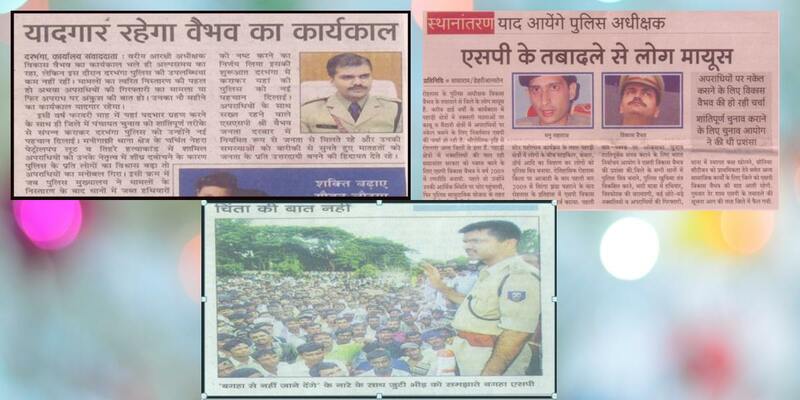 People of Bagha shouted the slogan, ‘We will not let you go from Bagha’ at the then SP Vikas Vaibhav’s transfer. Image Credit: Vikas Vaibhav (IPS) Facebook Page. The mighty and the moneyed too have never been able to defeat his determination and honesty and his cardinal quality of extending equal treatment to all regardless of one’s social and economic stature. When, the then Bihar Congress President Ashok Chaudhary tried to play smart by calling up the then Patna SSP Vikas Vaibhav, asking him not to take action against some miscreants of his party’s student wing leaders, Vaibhav immediately ordered Patna Police to book the caller for attempting to influence police investigation. The notorious Bihar MLA, Anant Kumar Singh, had been arrested by him once. Last year, he started ‘Lok Samvad,’ to bridge the ‘Police-Public’ gap in Bhagalpur. When it comes to his professional integrity, he always places it in a paramount position and priority. He had heroically trounced Maoists in their dens. Rohtas Fort, that was once ill-famed while under the grip of Maoist, that they proudly used to address as liberated-zone, and where the Maoist used to run training centers, was liberated from the Maoists clutch by Vikas Vaibhav. He had unfurled the tri-color at the fort for the first time in India’s independent history. Later on, Bihar CM Nitish Kumar too had personally visited the fort. This officer had played an instrumental role in arresting the culprits of Bodhgaya Bomb blast case. To continuously get reminded of this officer’s pro-people commitment and people-friendly attitude, the people of Bagha where he had served as SP in 2007, have dedicated a crossroads after his name, in a village named Samarkola. But, the above stories of his courage, vitality, and honesty are just one side of the coin. The other side of his personality is equally beauteous and inspiring. He runs an extensively-read blog named ‘Silent pages’ that in fact roars for the readers intellectually, for its meticulously detailed research on the lesser-known stories from the history of India. He says, many ancient sites and heritage of great importance have not been explored, and that prompted him to name his blog as ‘Silent Pages.’ He explores these unexplored sites and then writes about these on his blog that has a considerable fan-following across the globe. He has been blogging since March 2013. He is an avid and gifted photographer too. Last year, when I had got a chance to interview him, he claimed that he had visited more than 200 of these kinds of ancient sites throughout the country, and at some foreign destinations as well. During the same interaction, on being asked about the rare combination of simultaneous interest in science and history, he said it has never been unusual for him at all, and that he always had identical interests in both these subjects. Sir Edwin Arnold’s magnum opus ‘The Light of Asia’ has left a great impression on him, he says. 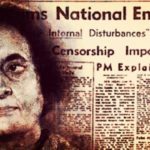 As Bihar-born celebrated, English author George Orwell puts in his magnum opus ‘1984’ that ‘The most effective way to destroy people is to deny and obliterate their understanding of their history.’ Vikas Vaibhav’s unique initiative aims to help people to remember their precious past. This is something that needs to be cordially commended. India’s youth of present generation should learn from him and attempt not to dismantle his hope and defeat the expectation that he has from them. He has indeed been practicing, what America’s former President Abraham Lincoln had written to his Son’s teacher to teach him to be gentle with the gentle people and tough with the tough. He never did anything to please and appease the mighty and the moneyed and at every opportunity, he has shown his impartiality and equal treatment to all. This, the Country’s youth population must learn from him. 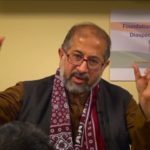 It’s true that today’s India and more specifically its youth population are eager to witness the change that this Country urgently requires but it is equally a stark truth that a considerable percentage of them are running behind a ‘settled life’ that gives them a comfortable lifestyle which they get happy with. But, if a change has to come, it shall have to come through the participation of all, through the equally determined efforts of all, by renunciation of running behind the settled life, otherwise, this change can only prove to be a mirage. One day when I rang him up at 10:00 P.M in the night for some personal reason, he was still there in the office. Many a time, he keeps listening to the people’ grievances till late evening and sometime by late night. He has to sacrifice many things for the change he wishes to see. He is able to give very little time to his family as he thinks he has tremendous responsibilities on his shoulders. Despite, the policing being such a stressful job, he manages to keep himself calm and happy. India’s youth has many a thing to learn from him and they are under an obligation to not let his hope down. The Country needs more officers like him in IPS.